Yesterday at Disney’s Contemporary Resort, the DestinationD convention kicked off, and we were there to do some browsing. Outside one of the conference rooms, there was a display with a sneak peek of some new MagicBand technology that’s coming to Disney Parks in 2017. 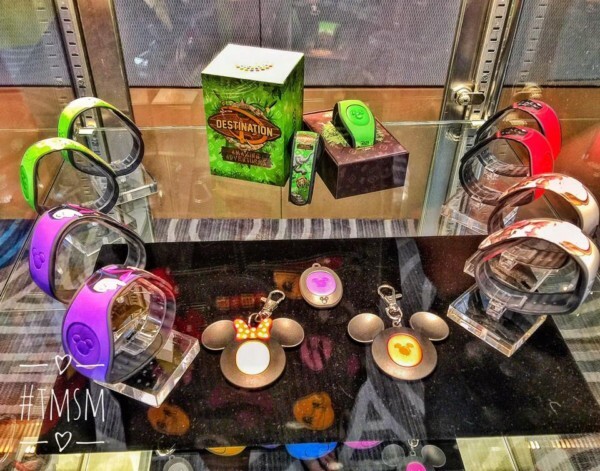 The MagicBand is getting a new look, and guests will also be able to use MagicBand keychains as well. We posted video yesterday, but I wanted to share it again for those who missed it. Take a look on this short video below to see what’s coming! Be sure to subscribe to our YouTube channel so that you never miss a new video from us!